THE GRAND PRIZE WINNER IS… Margaret Gulley of Peotone, Illinois! 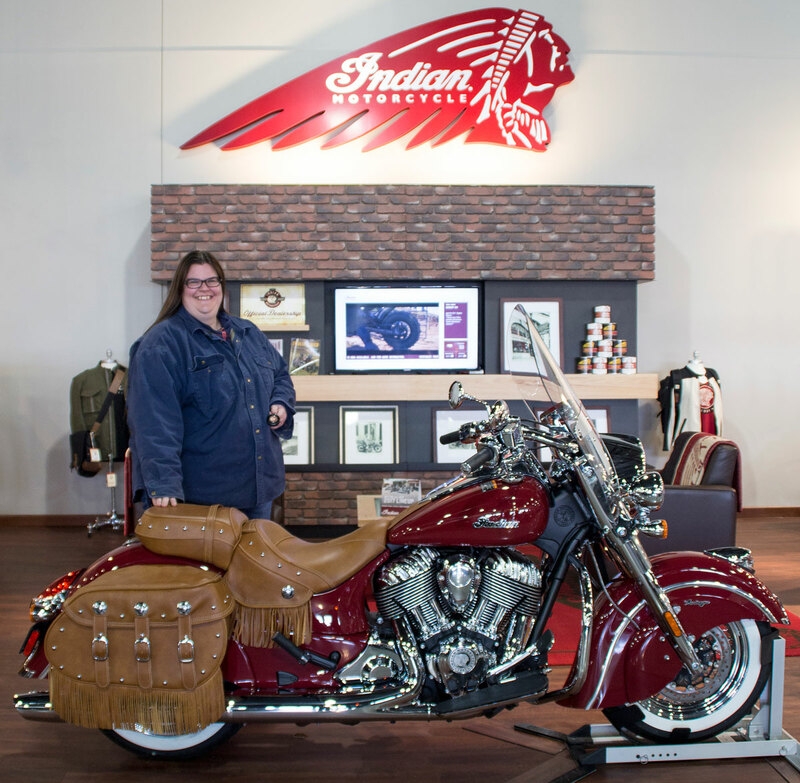 Margaret is the winner of the National Motorcycle Museum’s 2016 Indian Fund-Raiser Motorcycle! Margaret takes possession of the 2016 Indian Motorcycle! 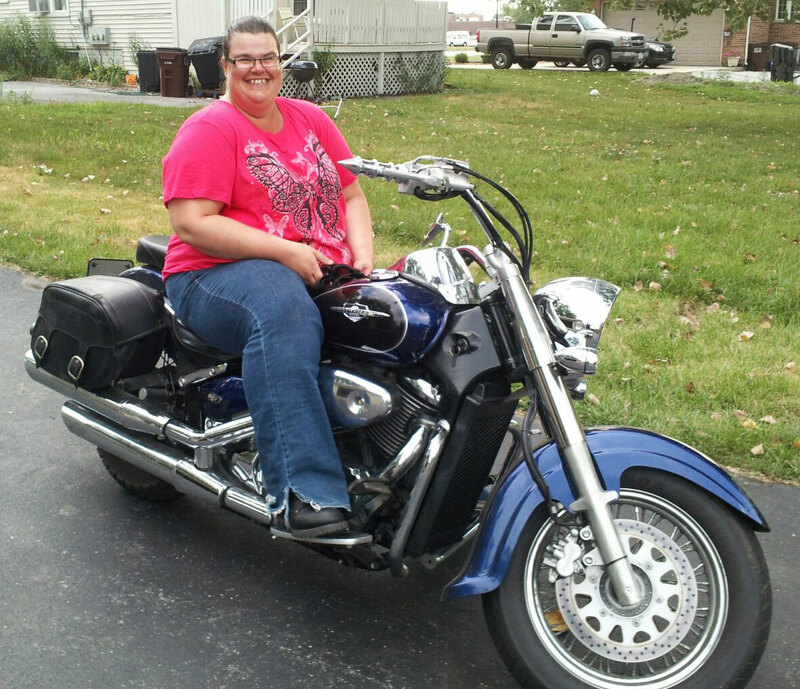 We called Margaret and let her know she won and, of course, she was very surprised and excited, “I ride a 2005 Suzuki Boulevard but actually have been looking at the new Indians. All my friends ride Harleys, I wanted an Indian. I love the styling, the fenders, the red paint, all the chrome.” Margaret, her mom and dad are J&P Cycles customers and her mom suggested she respond to the offers to donate to the National Motorcycle Museum to win an Indian J&P Cycles often puts in emails and catalogs. “I’ve been buying tickets for three years. I bought ten tickets this year. I’ve never won anything like this! This is a really great thing. I really appreciate this bike, and now need to make a trip to the Museum,” Margaret offered. Margaret knows her way around “metal;” she a union pipe-fitter and has worked on “nukes” and all sorts of heavy construction. The Indian Victory dealer nearest to Margaret’s home is Indian Motorcycle of Monee in Monee, Illinois. Margaret will get her paperwork done, maybe accessorize and ride out into the chilly Illinois winter for her first ride on her brand new Indian! 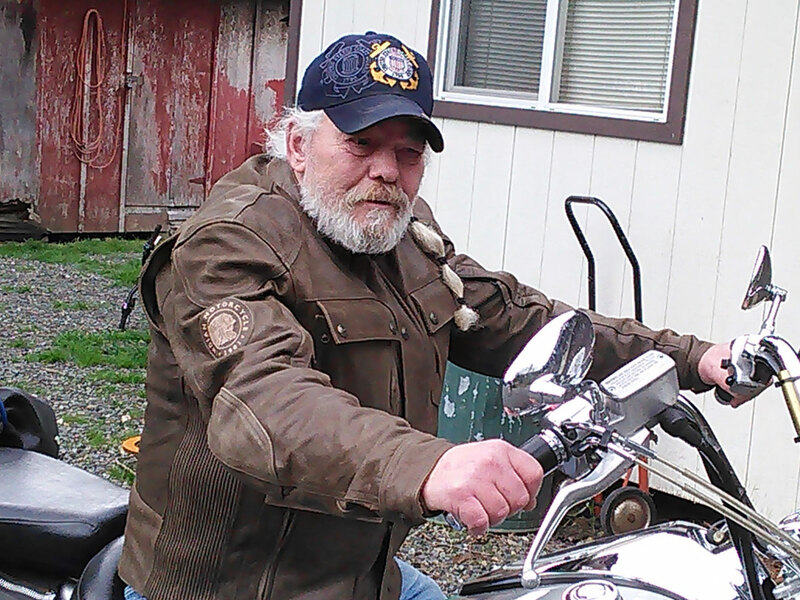 The winner of the Indian RACER Jacket is Bruce Rester of Glendale, Oregon. Our thanks to Indian Motorcycle for donating the 2016 Indian and the Indian RACER Jacket to the National Motorcycle Museum’s 2016 fund-raiser. Click Here to Check out the Museum website for information on the 2017 Fundraising Program.